and don’t forget to check out the new music video for The Arcade. 11-22-2008 20:00 at PIKE ROOM W/ THE MEDIC DROID, CHRONIC FUTURE. There’ll be full coverage on these guys next week after the show including short bio and the photoset. This entry was posted on Wednesday, November 19th, 2008 at 3:43 pm. 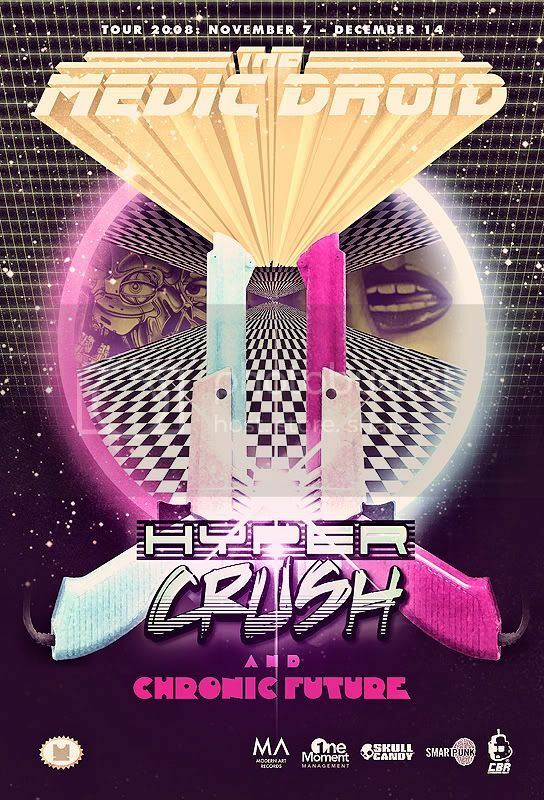 It is filed under Local, Posts and tagged with chronic future, chronicfuture, detroit, hyper crush, hyper crush detroit, hypercrush, hypercrush detroit, medic droid, medicdroid, mi, michigan, pike room, pontiac. You can follow any responses to this entry through the RSS 2.0 feed. Can’t wait for the show – thanks for posting this!